Use mentor sentences to teach grammar while you teach any novel, short story, or nonfiction. 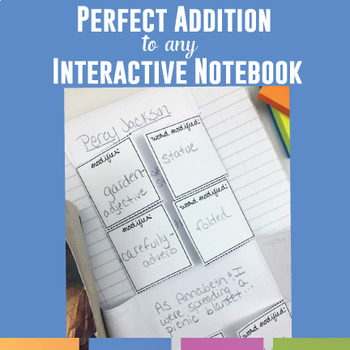 These interactive notebook pieces are a nice addition to any interactive notebook. Professional writing is full of detailed and strong sentences. Analyzing language as students read helps reach common core objectives, while engaging students in reading with a higher thinking process. These interactive notebook pieces provide customizable options for different ability levels. These interactive notebook pieces allow the teacher or students to choose the sentences to study. PLUS, since differentiation with grammar is so important, there is a variety of labels so that teachers can assign different concepts for each student to study. ☆ Two front pieces that provide for parts of speech, parts of a sentence, or other sentence structures. ☆ Four back pieces that ask students to provide the reading page, the example (the sentence from literature or nonfiction), the modifier, the word modified, or the type. 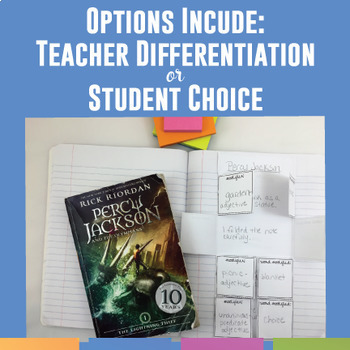 Lots of options - lots of differentiation. 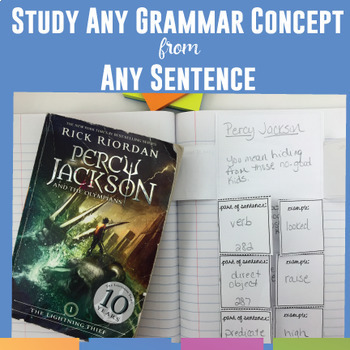 NOTE: This interactive notebook piece is NOT specific to Percy Jackson; that book was used to illustrate sample sentences. 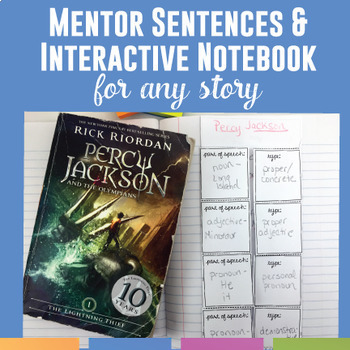 Use mentor sentences with your interactive notebooks!